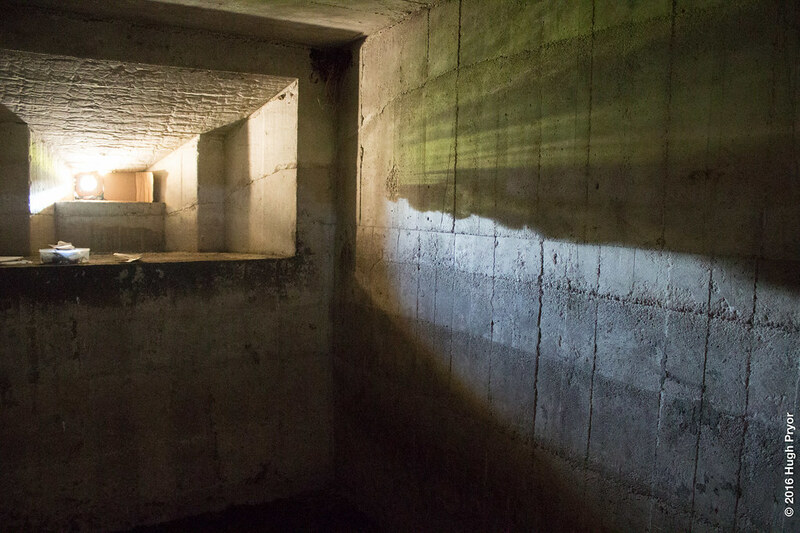 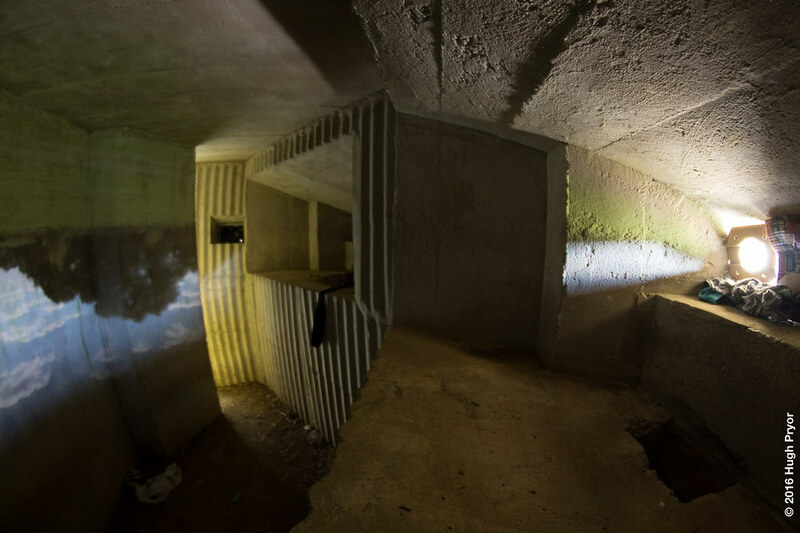 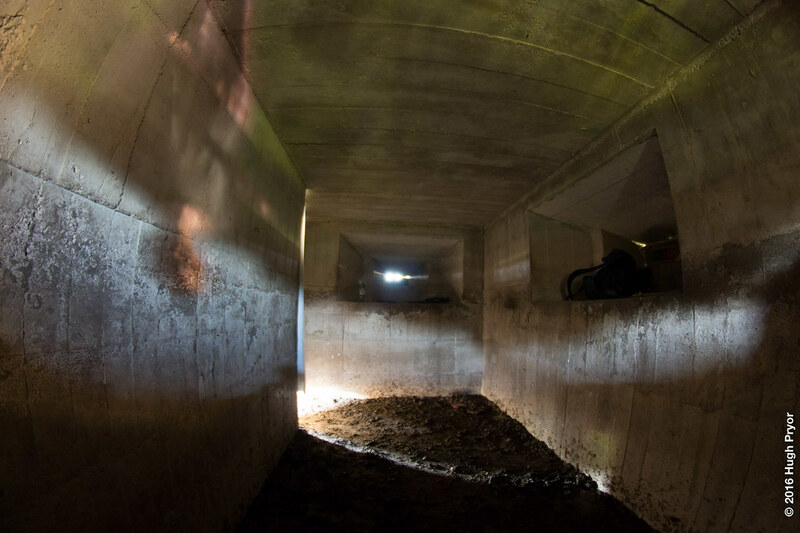 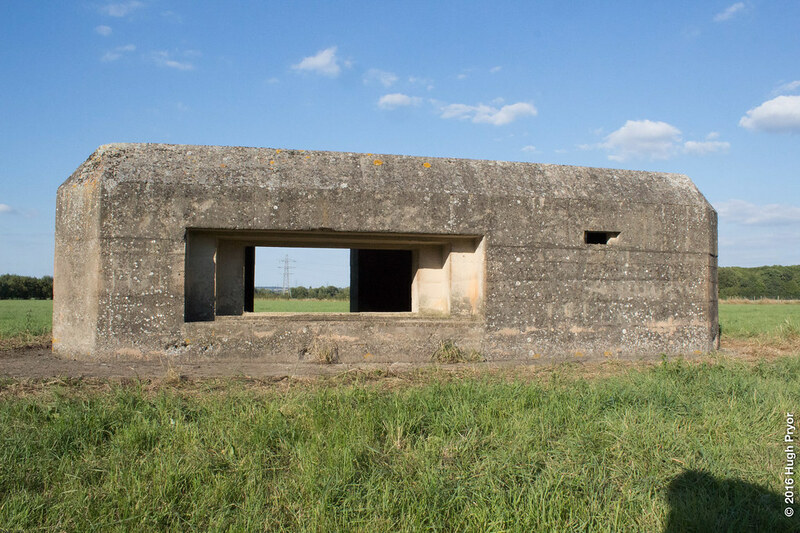 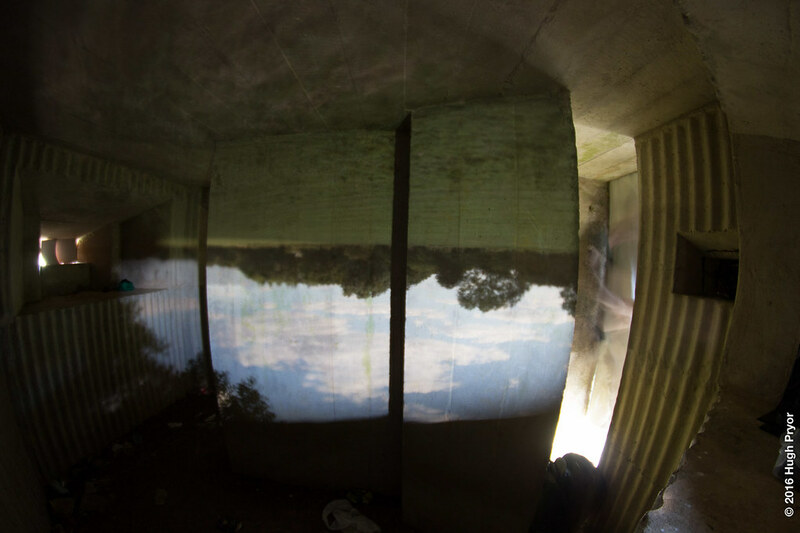 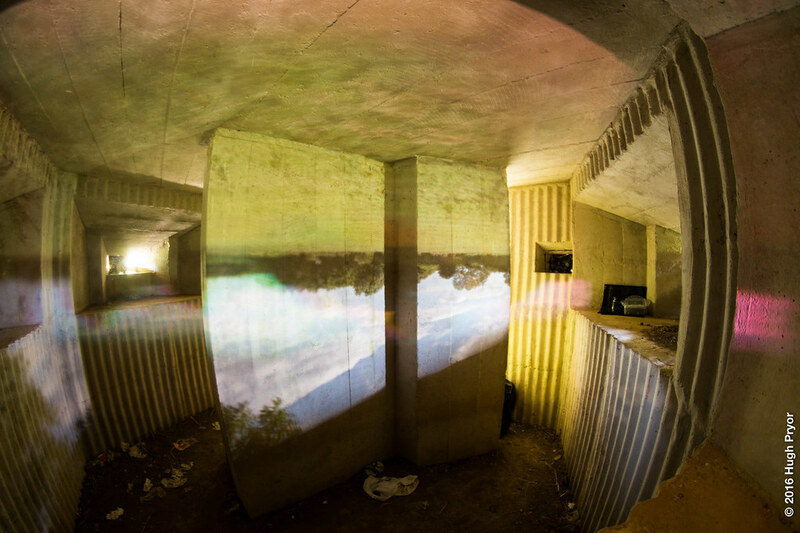 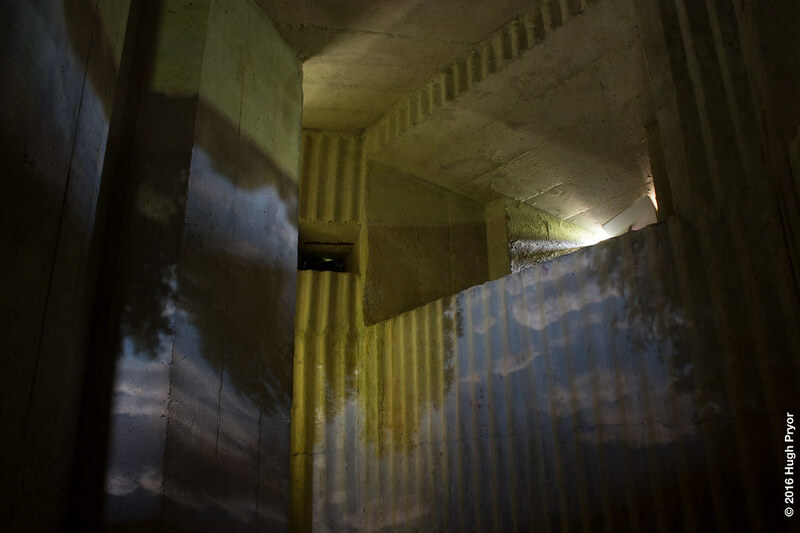 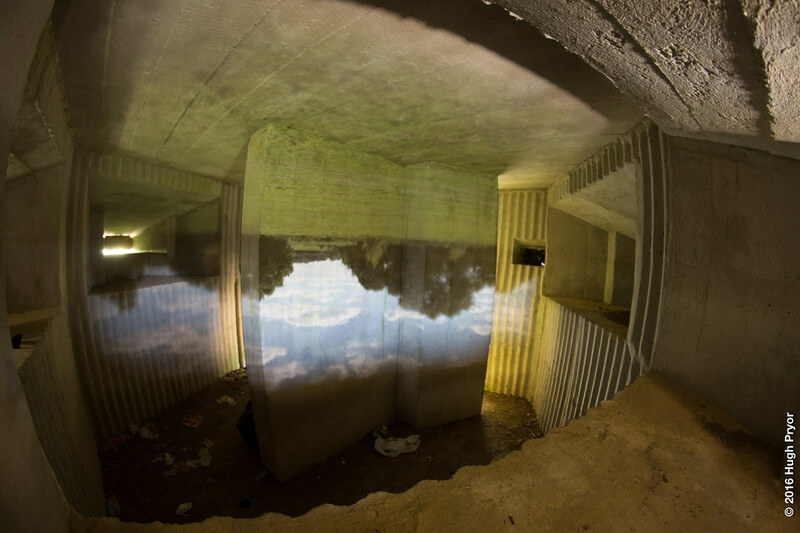 When I first visited a pillbox along the Thames at Appleton (OSGB grid reference SP 413011) I noticed that the view was being very blurredly projected onto the ricochet wall. 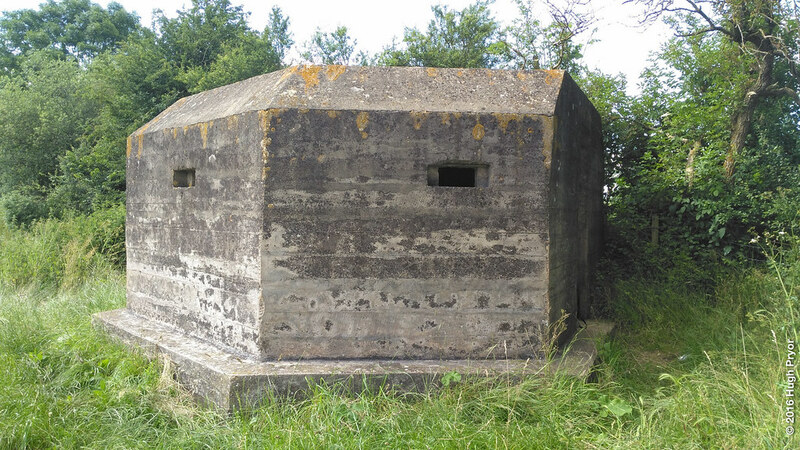 I thought this small wartime construction would make an excellent camera obscura if I returned with some lenses and blackout material. 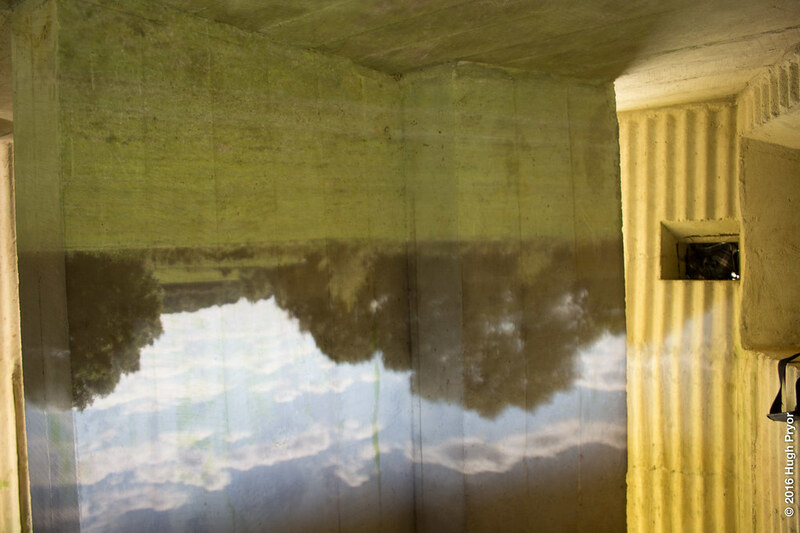 So I phoned around various opticians and the technician from PB Conway responded enthusiastically and provided me with a set of varying focal length blanks. 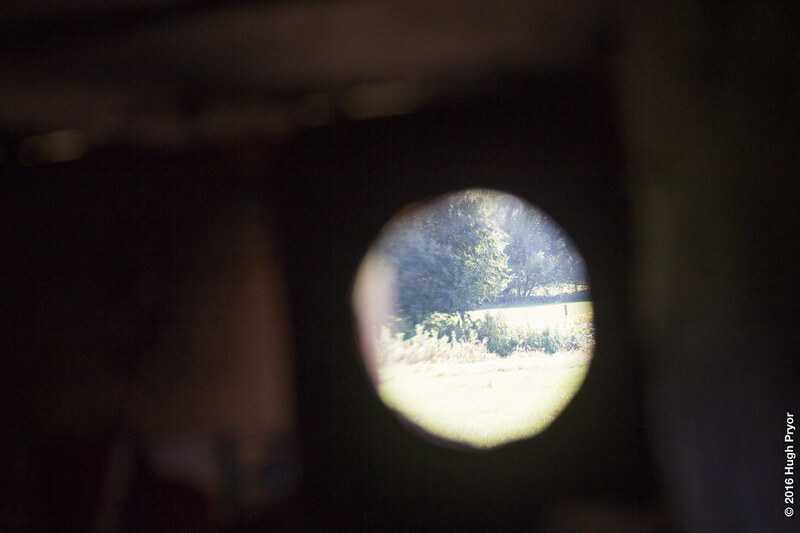 I made a cardboard lens holder and brought some blackout material which worked well for blocking off the doorway. 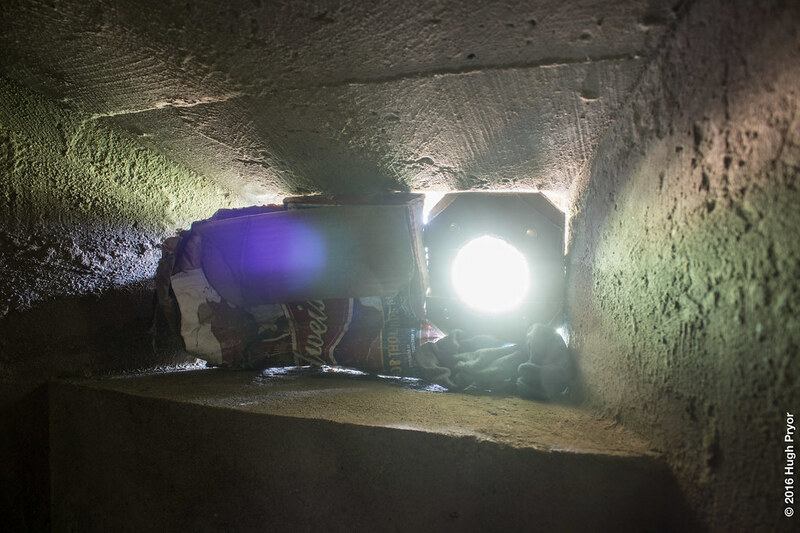 I found some cardboard beer boxes in the pill box which worked well for blocking out the gun holes. 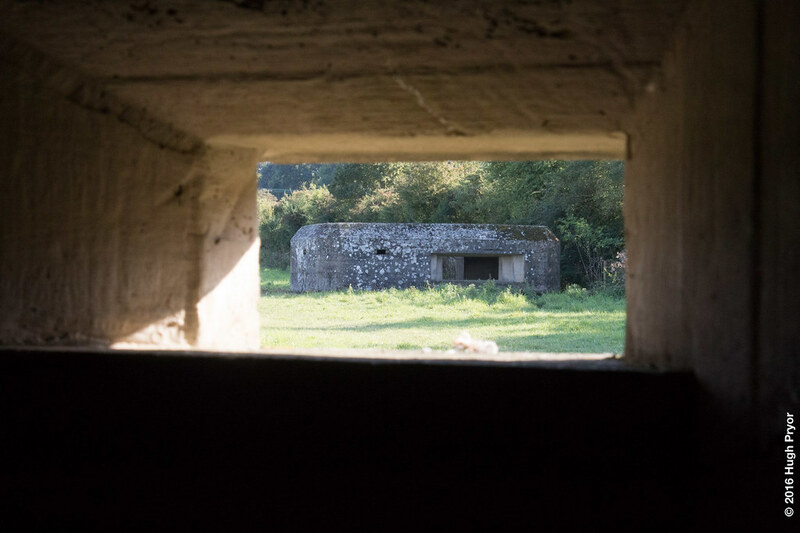 After capturing images from different ports I moved on to another pillbox which was being used as a cow shed. 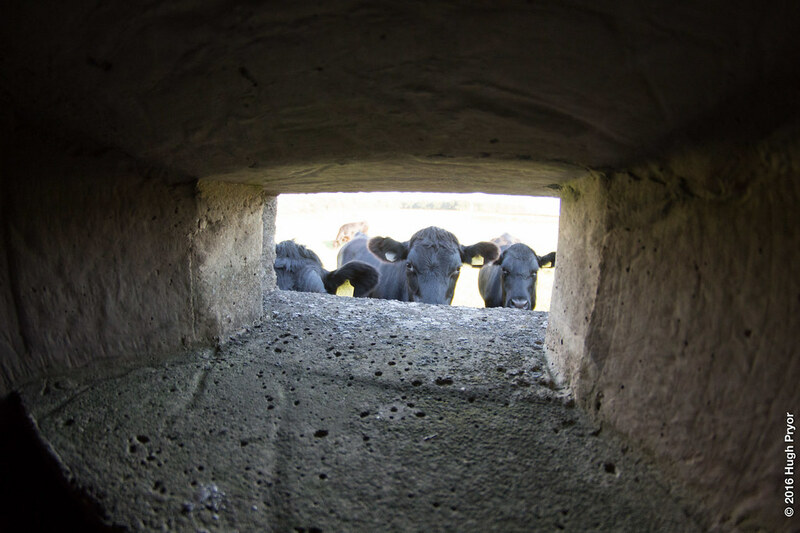 I took probably the world’s first ever pillbox camera obscura selfie before discovering that I was surrounded by inquisitive bullocks. 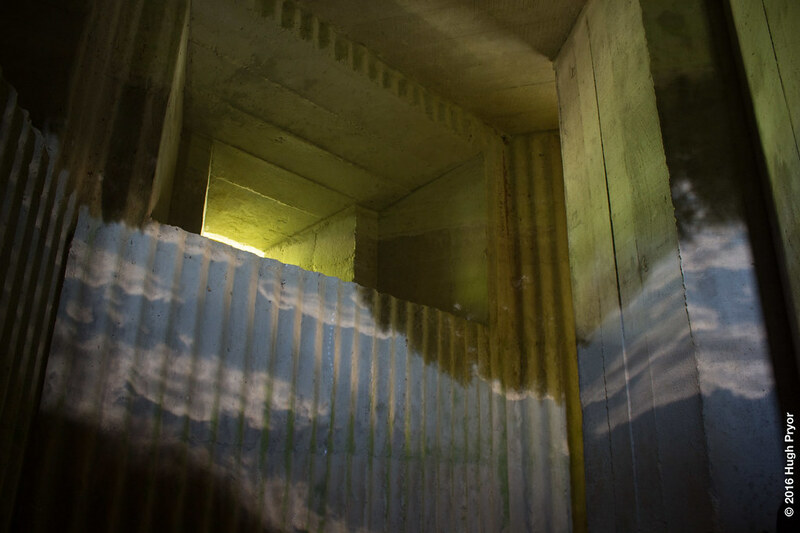 Time I think to leave!